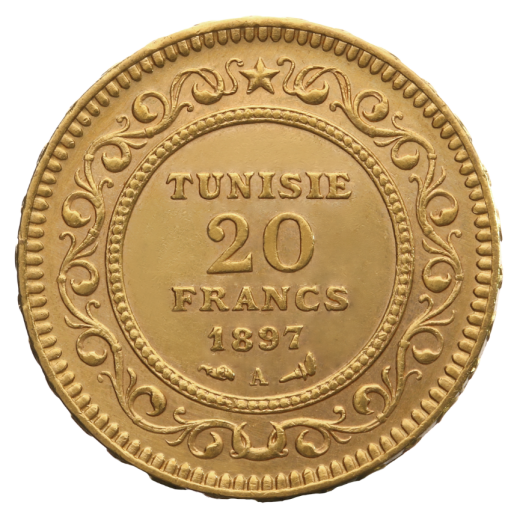 The franc replaced the rial in 1891 at the rate of 1 rial = 60 centimes. The franc was replaced in 1960 by the dinar at a rate of 1000 francs = 1 dinar, the dinar having been established as the unit of account in 1958. The francs were all equal in size and composition to the corresponding French coins. I would recommend this coin to every coin collectors. the arabic letter's give me the feeling im holding some kind of aladdin gold coin. very cool to own!